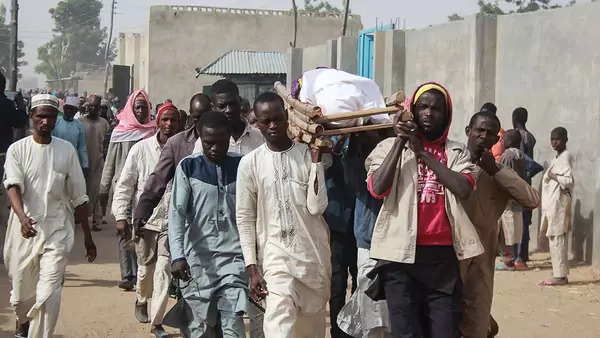 Outsiders see through a glass darkly with respect to Boko Haram, the deadly and resurgent Islamist movement centered in northeastern Nigeria and the Lake Chad Basin. Conventional wisdom is that there are two main factions: the oldest is led by Abubakar Shekau, while the newer faction, which split around 2016, has been led by Abu Musab al-Barnawi up to now. In 2015, Shekau pledged allegiance (whatever that might mean) to Abubakar al-Baghdadi’s Islamic State (IS). However, IS apparently withdrew its recognition of Shekau and in 2016 tapped the al-Barnawi faction, referred to as the Islamic State West Africa (ISWA). Shekau’s faction, however, did not disappear but continued operations. The primary difference between the two appears to be that Shekau’s faction takes a harder line on who is an apostate Muslim, and therefore deserving of death. There are varying reports about the degree of tactical and strategic cooperation between the two factions. Al-Barnawi is said to be a son of Mohammed Yusuf, the founder of Boko Haram whom the police extra-judicially murdered in 2009. However, some commentators believe the “brains” behind the faction was Mamman Nur, a close colleague of Yusuf and a fellow preacher. In September 2018, there were reports that Nur was murdered by his own faction because he was too “soft,” that he misappropriated ransom money, and that he might have been open to a dialogue with the Nigerian government. In late February 2018, al-Barnawi reportedly replaced with Abu Abdullah Ibn Umar al-Barnawi as head of ISWA. (The two al-Barnawis do not appear to be related; al-Barnawi signifies that the person is from Borno.) There remain questions about the fate of Abu Musa al-Barnawi. Abu Abdullah Ibn Umar al-Barnawi appears to be an unknown figure. With a dearth of confirmable facts, there are hypotheses. One is that Abu Musa al-Barnawi has been murdered, and another is that he has returned to Shekau’s faction. Others speculate that, because there has been no IS announcement about the apparent change in leadership, IS must not have been involved, suggesting that it has little control over the faction. Some have suggested that, with its defeats in Syria and Iraq, IS needs ISWA more than ISWA needs IS. With respect to the alleged removal of al-Barnawi, there has been silence from all of the presumed dramatis personæ: nothing from al-Baghdadi or Abu Musab al-Barnawi or Abu Abdullah Ibn Umar al-Barnawi or, for that matter, Shekau. What to make of the fog? First, Boko Haram is far from a unified movement, and there is a pattern of assassination within both factions. But they are still deadly; there has been a recent upsurge in violence associated with its factions documented by the Nigeria Security Tracker, primarily against military targets. Second, the influence of international groups, primarily IS, appears to be marginal and waning, depending on whether they advance primarily local grievances. Finally, unlike IS, Boko Haram lacks an international agenda, and its attacks are concentrated in the Lake Chad Basin and northeast Nigeria.